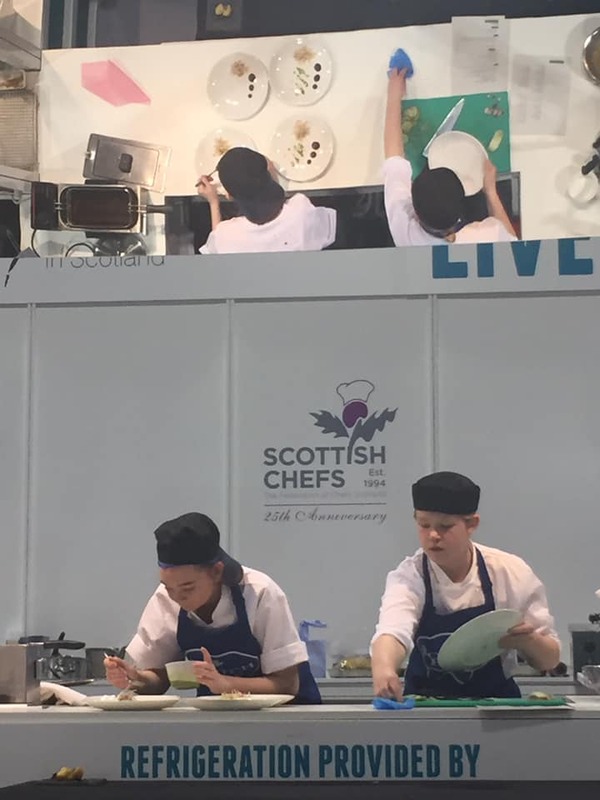 Twenty-nine students and two members of staff travelled to Glasgow’s Scottish Event Campus to compete at ScotHot – testing their skills in timed conditions against peers and industry-based chefs from across the country. 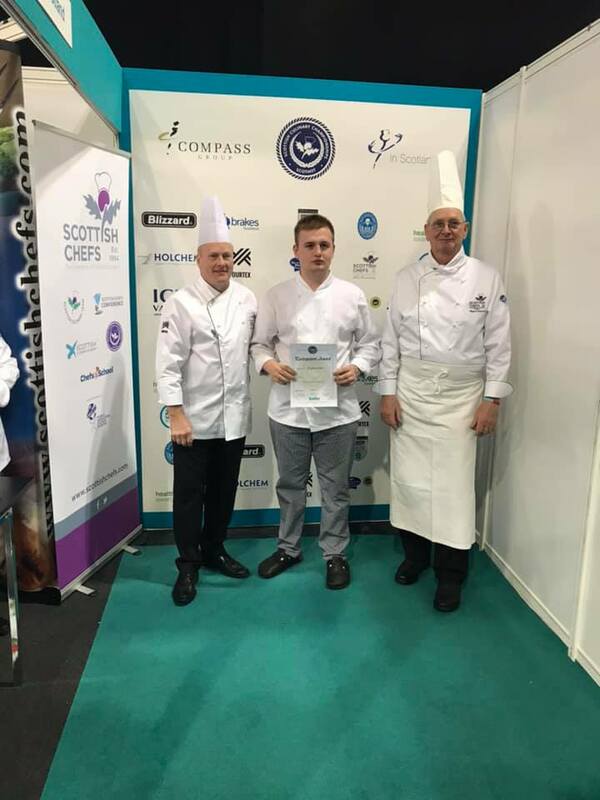 Seventeen-year-old Shannon McNeil represented the College in the Scottish Young Chef of the Year where she won Bronze. Shannon and her commis chef Amy French also won Best Hygienic Working Practices of the competition and will be awarded a trophy by hygiene specialist Holchem laboratories Ltd.
Shannon competed against apprentice chefs from across Scotland and created a three-course menu plus one amuse bouche for four covers in three hours. Students also picked up medals in a range of challenges including Street Food, Knife Skills, Fish Dish and Cake Decorating, among others – demonstrating the pipeline of talent learning at the College’s Eh15 and Apprentice training restaurants. College staff members also picked up medals on the day. 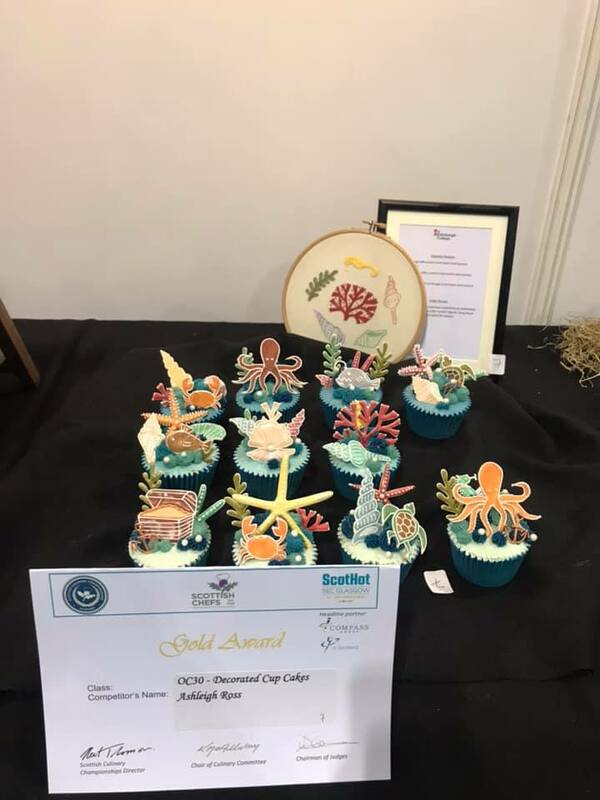 Kellyanne Cockburn claimed Gold in the Novelty Cakes challenge while Claire Schirsinger won a silver medal in Decorated Cupcakes. In addition, College students won seven Merit awards and five Participation awards to round off a fantastic performance. 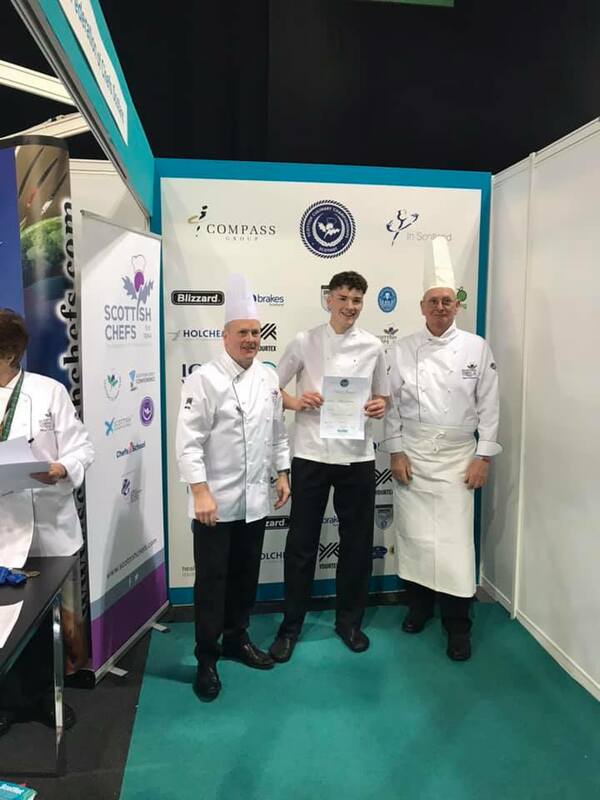 Professional Cookery curriculum leader Steph Tanner said: “I’m so proud of our students and staff who competed at ScotHot – they all worked incredibly hard and showed just how talented they are. The following students collected medals and or certificates in their respective challenges. Huge congratulations to them all.